Montgomery County Bail Bond Company!  No one anticipates going to jail, in this day and age, most people do not memorize phone numbers and upon incarceration, there is little chance of communication with anyone other than a bail bond company. Locally owned and operated, Bustin’ Out Bail Bonds provides immediate assistance around the clock for unexpected emergencies, as well as many other services. In a crisis, you must be able to have confidence in the company who is working for you and your family. Upon arrest anywhere in Montgomery County, a person must be processed at the Montgomery County Jail which is just down the street from our office. In order to be released from jail, several steps must occur, including being “booked in” and posting bail. While cash bonds are allowed, it is normally not a common practice due to financial limitations. A bond is not usually needed for traffic tickets and public intoxication charges. Instead a “promise to appear” letter is given to the defendant. On most all other criminal charges, a bail bond is needed. co-signer is required to guarantee the defendant’s bail. This amount can range from $500 to $50,000 generally for misdemeanor or felony charges. The fee that we charge to post the bail (premium) is calculated on several factors. We accept all major credit cards and financing is also available on a case by case basis.